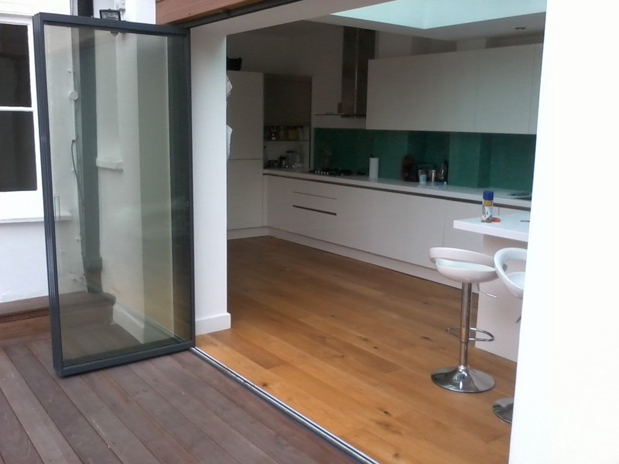 Our range of Frameless Glass Doors use the latest in folding-sliding door technology. 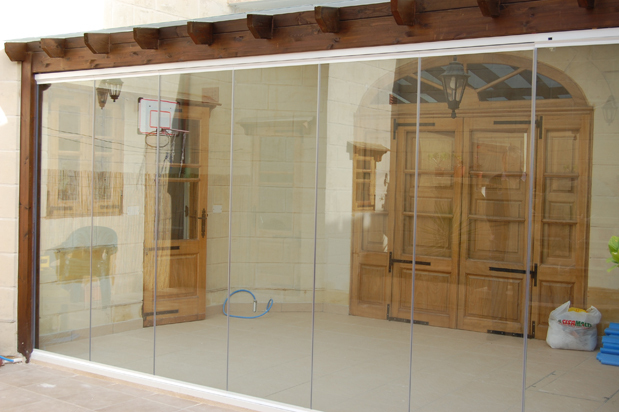 The Frameless Glass Door is fully retractable and suitable for all internal and external applications, whether you need a new patio door or room divider. The double glazed frameless glass door meets all UK building regulations for external use and achieves a U-value higher than the bifolding door equivalent. This means that not only do you have clearer uninterrupted views, but you also save money on heating bills! Also available as a single glazed unit, which is perfect for balconies and room dividers. Unlike traditional aluminium bifold doors or folding sliding doors, the Frameless Glass Curtain gives a completely clear glass view even when closed. 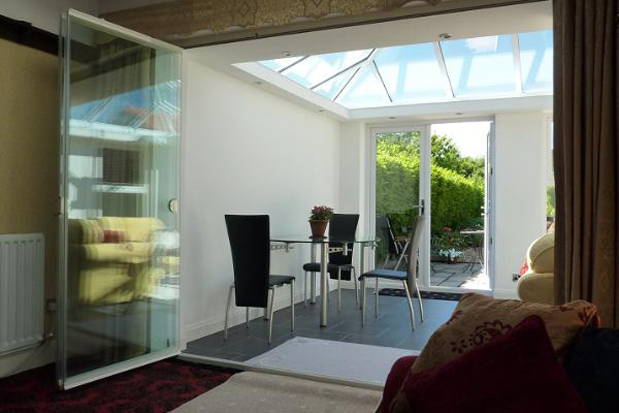 In addition to frameless glass curtains we also manufacture, and install a wide a range of other products including fully retractable aluminium bifolding doors, ultra slim patio doors, concertina doors, glass room dividers and aluminium windows. Manufactured at our production factory in Bedfordshire, we offer a fully comprehensive service, from site survey through to installation. This allows us to offer the quickest lead times in the industry (fully installed within 2-3 weeks). All of our concertina doors and aluminium windows are made to measure, and produced to the highest standards using thermally broken aluminium. We also offer a 'supply only' service for trade customers. With a strong foothold in the aluminium bi-folding door industry, and becoming one of the first UK companies to manufacture the aluminium folding-sliding door, we have over 10 years of experience designing, manufacturing and installing door systems.